It’s time to realize my old idea that came to me this summer. Armed with a tripod and multicolored flashlights, I spent an hour creating this composition. I got the dynamic element by chance when I decided to add white light. 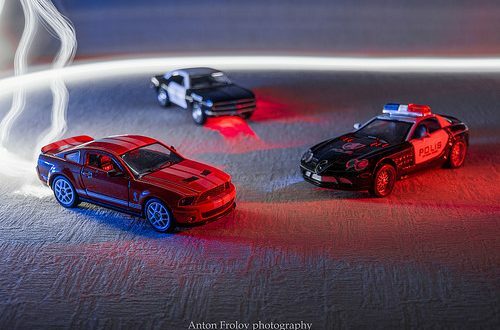 As a result, you can see a photo of pursuit almost like in a movie. Thanks for your faves and comments, I really appreciate them!